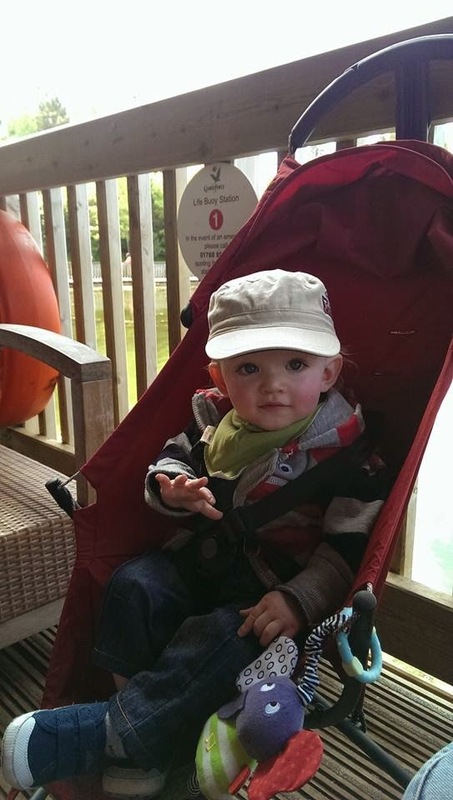 When Ethan was born, we used a 9-in-1 travel system to take him out and about. We chose it as it came with a carrycot and car seat, plus various other bells and whistles, which we were sure at the time we needed. It did the job but we didn't use all the different pieces that came with it and I really didn't get on with the pram seat attachment in particular. 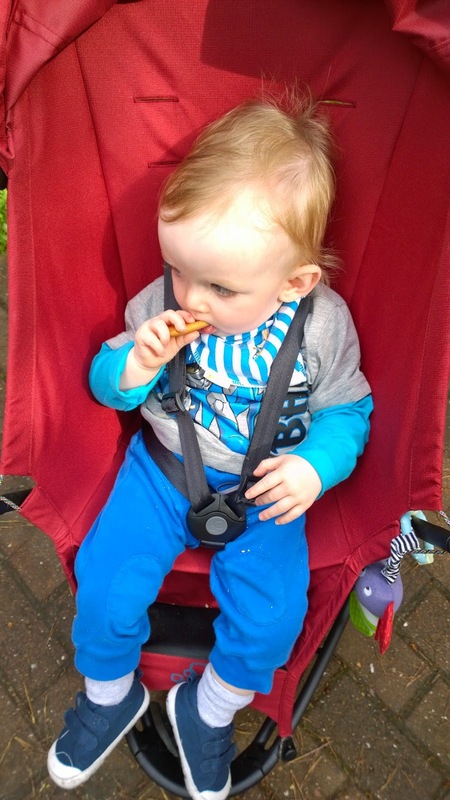 With Ethan being one now, he (luckily) needs less 'equipment' and getting out with him is far less of a big challenge. Having said that, nipping round the shops with him isn't so easy - not if I'm buying more than just a loaf of bread. He loves sitting in the trolley at the supermarket, but if we're off into town or out for the day, we need a buggy that's easy to use, compact to fit in the car and comfortable for Ethan to sit in. But finding the perfect buggy can take some time. With so many designs available, all with varying features, it's tricky to know where to start. 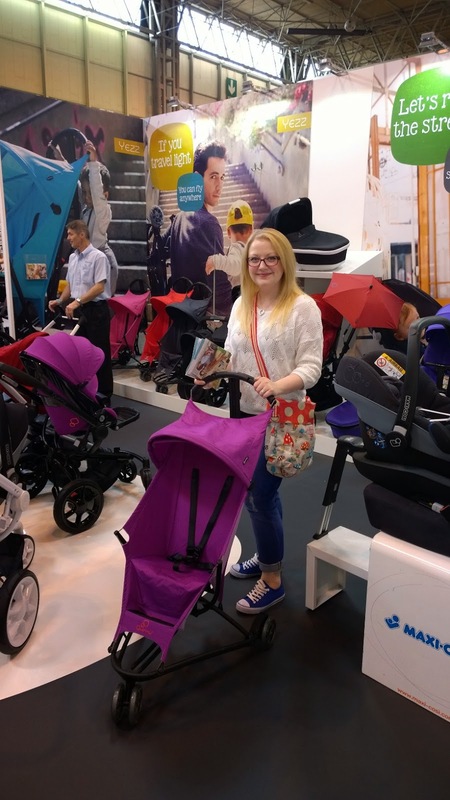 I went to The Baby Show the week before last and was able to see some of the latest designs first-hand. 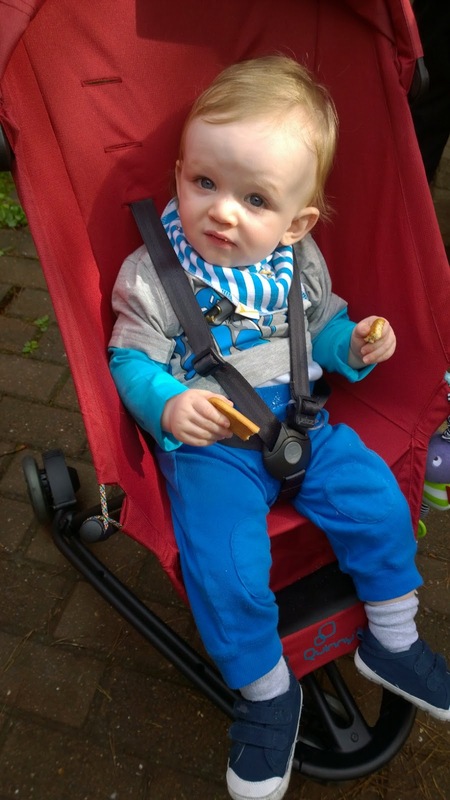 I was invited along by Quinny to find out more about their new buggy, the Yezz, and to my surprise, I was also given the chance of test driving my very own model. 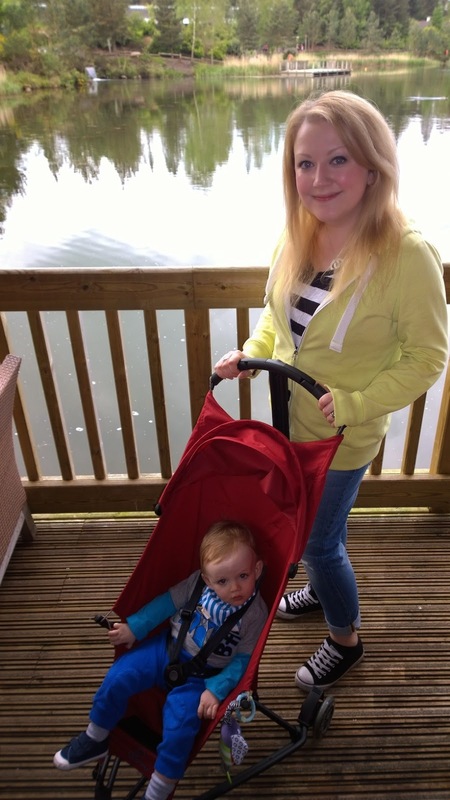 It really was a lovely surprise and I was keen to give our new buggy a go straight away. The Yezz looked quite different to the other models I had seen and its design really appealed to me. First of all, the Yezz is extremely compact. Its clever design folds to such a small footprint, I can put it in the boot of my car vertically laid down, as opposed to horizontally (and I have a Clio, so not the biggest boot in the world). 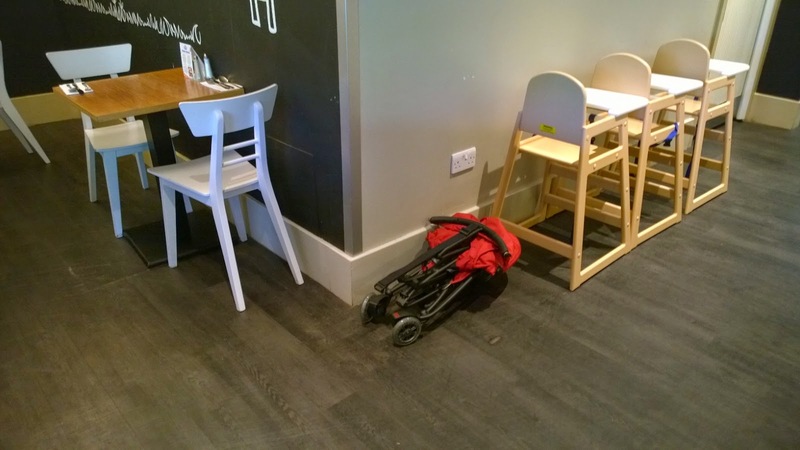 Secondly, the buggy is super light, with a strap so you can easily carry it, and requiring minimal pushing effort. However, the buggy still feels sturdy and Ethan looks nice and secure when he's strapped in. These two key features are big, BIG selling points for me. I immediately loved the fact that this buggy would be easy to transport and knew that 'nipping around the shops' or popping out for the day somewhere would be really easy with the Yezz. In theory, the buggy looked great but I wanted to make sure I really put it through its paces before casting my verdict. 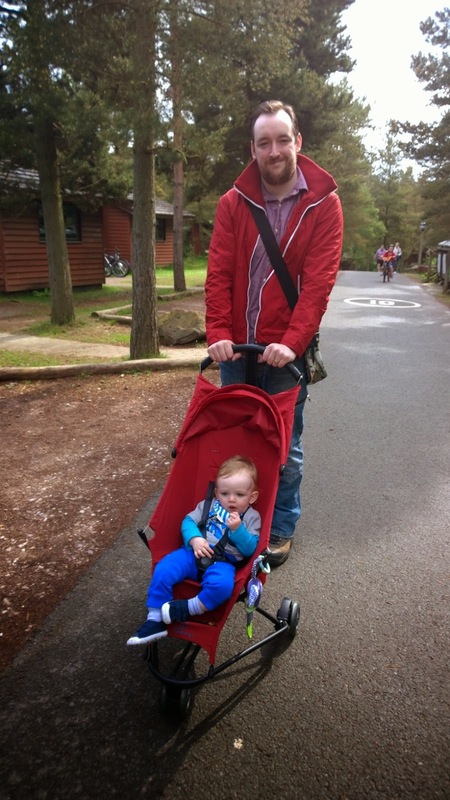 So, on our break at Center Parcs Whinfell Forest this weekend, we took our Yezz for a proper test drive. All of our friends had a go and we've even had feedback from my in-laws too who borrowed the buggy whilst looking after Ethan for us for the day. Suffice to say, I wanted to be extremely thorough! After a busy weekend away, I'm very much in love with this buggy. It was great to pack away in the car, leaving plenty of room for all our bags and baby paraphernalia, it was so easy and lightweight to push, Ethan was relaxed and comfortable every time we went out with it and it was very convenient when eating out, as we could easily fold it and store it out of the way whilst sat at our table. 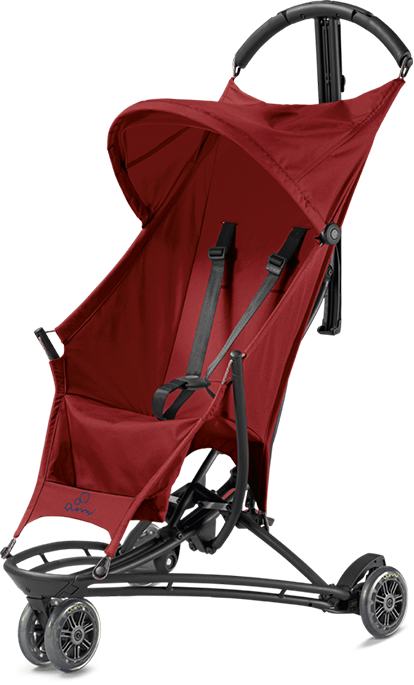 I also really like how it will grow with him - whilst the seat position is fixed, you can move the straps to three different settings for comfort as your child grows. All of our friends and family who have used it thought it was great to use and they were surprised at how lightweight it feels. Ethan also gave his seal of approval, enjoying a nice long nap after a walk through the forest and around the lake. My verdict? The Quinny Yezz takes just one hand to put up and one hand to push. The design is well thought out and the folding system is very clever. I've never seen a buggy fold so compact before and can't get over how light it is to carry and push. It comes in a great range of colours and both looks and feels 'the business'. In my opinion, if you're looking for a speedy buggy that you can use out and about, then the Yezz is for you. It doesn't feature a basket underneath and you can't hang your bag on the handle as it's a smooth, ergonomic curve rather than the usual handles you might expect, so if you like to saddle up your pushchair with your weekly shop, this isn't the right one for you. However, it is perfect for quick trips or if you don't mind taking less out with you / carrying your bag yourself instead. 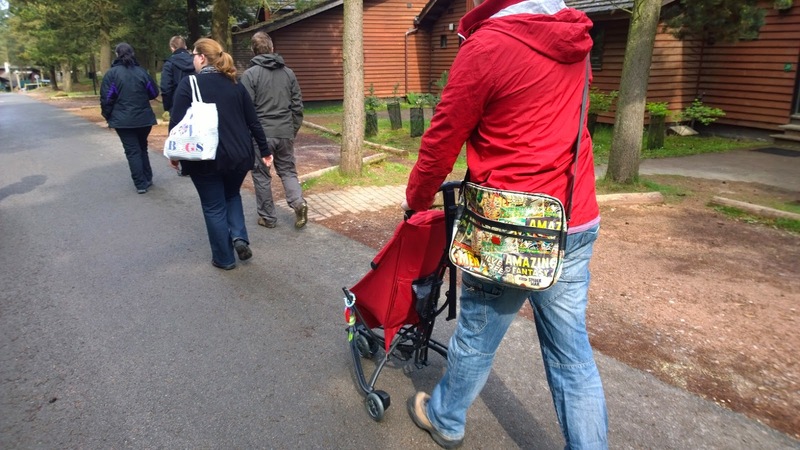 During our weekend away, we didn't struggle at all with this element and the pocket at the back of the buggy is great if you only have a couple of things to take with you. If you're likely to use it around the town, rather than 'off-roading', the Yezz is up to the task and I loved how easy it was to navigate my way around, even one-handed and even through busy crowds of people. The Yezz is all about being clever and compact so if speed, size and portability are your priorities, you need look no further. 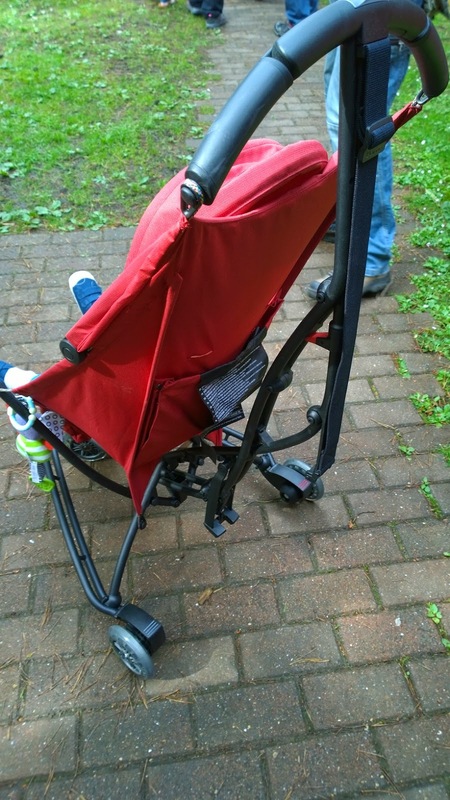 * Note: I was kindly given the Quinny Yezz for the purposes of this review but as ever, my opinions are genuine and everything I have said is based upon my experiences using this nippy buggy for almost two weeks. Back off our post-baby bodies! Part two - why have one when you can have two? Part one: why have one when you can have two? Calling all Midlands beauty lovers!